Video poker is vastly different from most of the poker variations that you probably already know, but this is why this game is so great. This popular casino game became common in casino since the seventies and it is now found in almost every gambling hall across the world. The combination of both skill and luck. The chance to win large sums of money. The anonymity of playing alone against the machine, without other players around you. Video poker’s earliest models appeared in the mid-1970s and were very primitive compared to the ones we know now. When a company by the name of SIRCOMA started to spread those machines across the nation, it became more and more popular and throughout the 1980s this game gained popularity among casino players who searched for a computerized game that is more complex then the regular slot machines. During the years the machines became more sophisitcated and new variations with better odds and better graphics were invented. 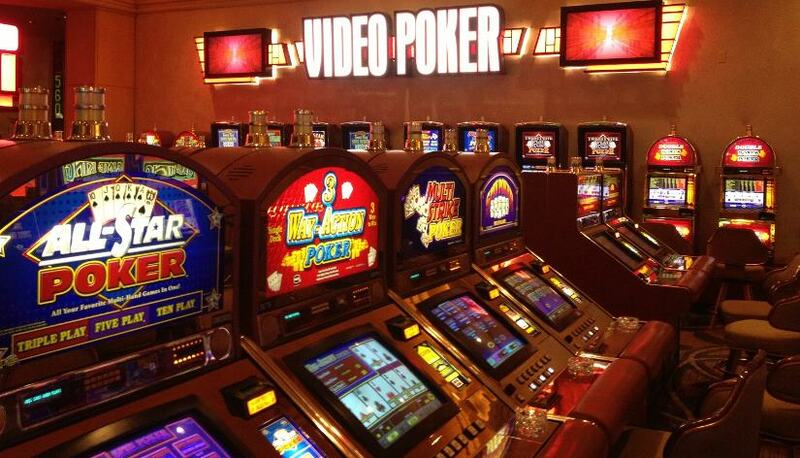 There are so many variations of video poker and the numbers are always increasing. New features like wild cards have been introduced and newer variants also include multiple decks, all sorts of bonuses for certain four of a kinds and different payoff tables. Serious video players usually don’t just play any machine but have specific machines that they prefer because if gives them the most generous payoffs. Some machines offer progressive jackpots for the royal flush, so the prizes can reach really high sums. The main thing that makes this game so popular is its simplicity. The game starts with placing a bet (using chips, coins or barcoded paper tickets) into the machine. After that you have to press the deal button and then to choose whether to keep or discard your cards. After you’ll get new cards according to your request the machine will evaluate your hand and will offer you payouts if you’ll win.